NO TOOLS REQUIRED! Use a bicycle to generate significant amounts of energy to charge batteries and/or loads. 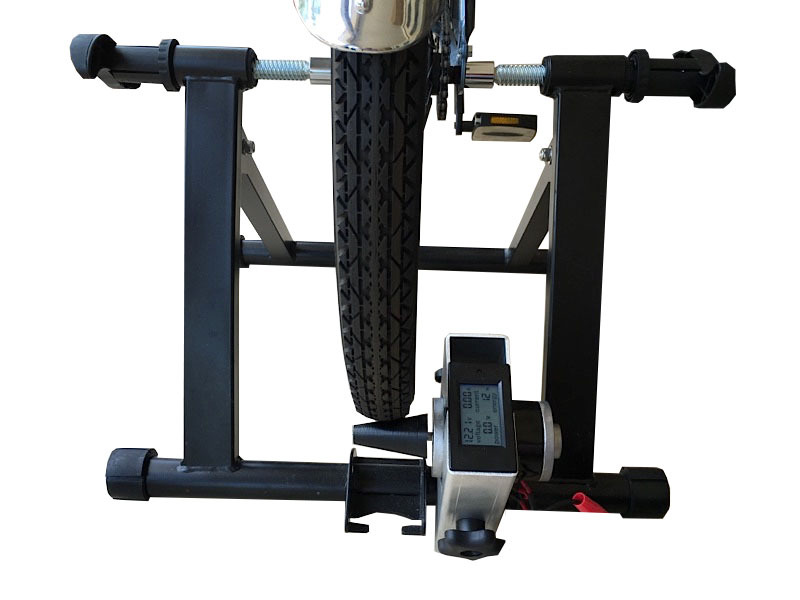 The portable bicycle generator has potential to change many lives. We’ve designed a simple solution to help your needs with power when you have no electricity or simply don’t have consistent power needs. In our testing, we’ve been able to run energy efficient light bulbs throughout a night with less than an hour of biking. The unit can easily fold up and take very little space in any environment. The unit really maximizes your pedal power to charge or run many different loads. You can charge your cell phone, tablet, and portable fans. If you really want to run larger loads, you can do that as well. Ask about how to run DC to DC converters or even 12v inverters to run your larger loads. For video instruction, click here. The video is also shown at the bottom of this page. Please allow 6 to 8 weeks delivery. *Ask about distribution and wholesale prices if you are interested. *Bicycle and battery is of course not included in this product.